Alice Forrest wasn’t born by the sea, yet her life is now spent in or around it more than land. 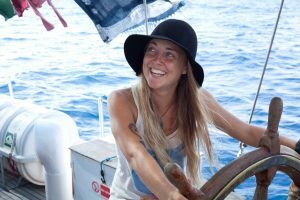 As a graduate of a Bachelor of Science (Biodiversity and Conservation), marine researcher, aquarist and professional mermaid, Alice contributes above and beyond to our Earth’s oceans. She lives a life most of us dream of and she’s making a genuine impact on the world we live. Her time as a child was spent in Moree, a small desolate town in the near centre of Australia before she went off to boarding school at 12. 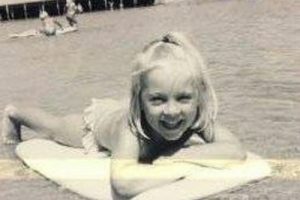 In that time, her mum moved to the famous surf destination of Byron Bay on the New South Wales north coast. The day Alice connected with the ocean. 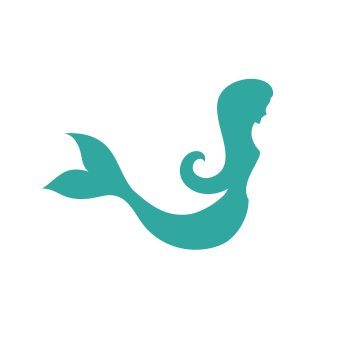 What is it about mermaids that you connect with? 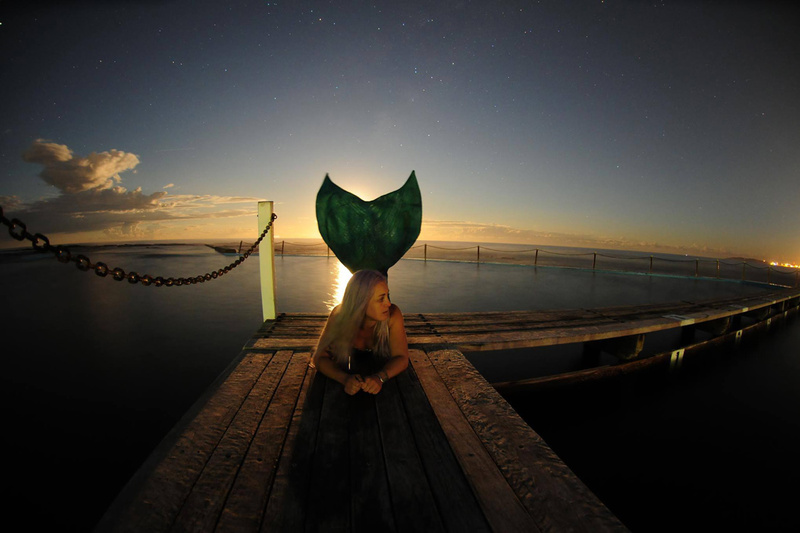 Mermaids are a great representation of that mystical, mysterious side of the ocean – the things we don’t know about. They’re also a physical representation of our ocean connection – half human/half sea creature – giving us a connection to the sea. Plus they’re just pretty awesome, I mean who wouldn’t want to have a tail like that and be able to just frolic in there permanently? At the helm on the high seas. There was a big gap for me between fearless childhood ocean frolics, and getting back in as an adult to start surfing and diving. At first, it was pretty intimidating, paddling out into the waves was scary, scuba diving down to 20 metres seemed terrifying. The only way to overcome it was just to do it, to get under the water, get dunked, get held down by waves, dive as deep as I could, and keep doing it until I learned. Sometimes I can still get spooked, but by just getting in there over and over again I realised how many of those fears were just in my head, and how much it’s worth the risk to just go out there and get salty. So many of the things that scared me – psycho sharks and deep dark water – were nothing like the reality of being in there. My knowledge of sharks, for example, was based pretty much on the media, Jaws, and a few gnarly tales. Spending time in the water has taught me that in reality they are just an incredible ocean predator that most of the time want nothing to do with us. Getting eye to eye to bull sharks and tiger sharks have taught me not just to question what I’m told, but that we should respect and appreciate these guys, not fear and cull them. Why is it worth the fight, and how can people help make a difference? It’s worth the fight because every single one of us can make a difference. Every action we make has an impact, and it’s up to us to decide what we want that impact to be. The ocean gives us so much, not just as an incredible place to play, but it creates the air that we breathe, it regulates the temperature of our plant, its where life began. At the end of the day, we have no choice but to fight, and be part of the solution. People can help making a difference by getting involved, learning about the issues, doing what they can, and most importantly: getting salty themselves. Behavioural changes, as simple as taking your own bag to the supermarket, make a huge difference (one person can save over 25,000 plastic bags just by BYO bag). But even more important than that is getting out there, experiencing the ocean, falling in love with it. What has been your most memorable trip so far and why? 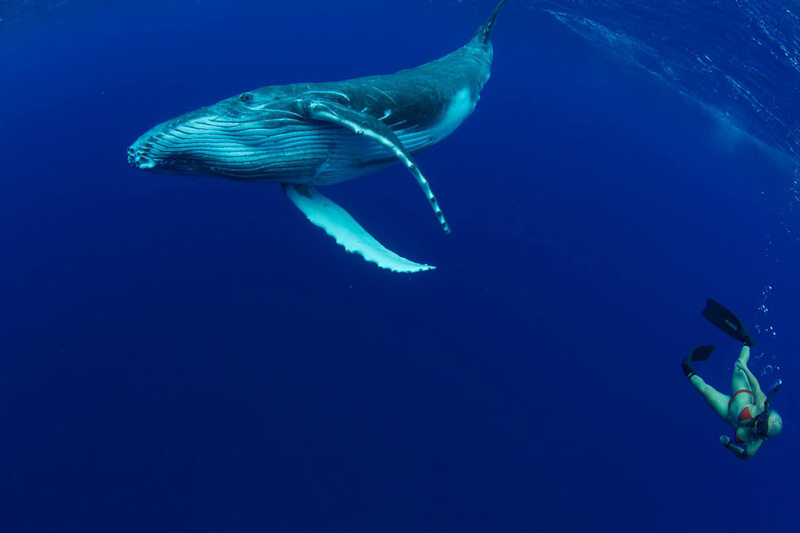 My most memorable trip was my first time in Tonga – getting to play under the sea, and stare into the eye of a baby humpback whale, really changed how I looked at the world. The magic of that one moment, and the way it made me feel (like I wanted to do whatever I could to protect this amazing baby whale) made me realise that positivity, hope and love are the most useful tools we have in ocean conservation.